Although we have been doing our November Okinawa Gakumun Tours for the past 6 years, this is the first time we are adding on a spring tour. Since this one is led by a single tour guide, we kept it small (12) and welcome participants from not only Honolulu, but from Moku o Keawe and the bigger island, California. Our flight on Delta to Narita left on time, and it was really comfortable in their new airbus. The economy comfort seats also helped to make the 10 hour flight easier to handle. 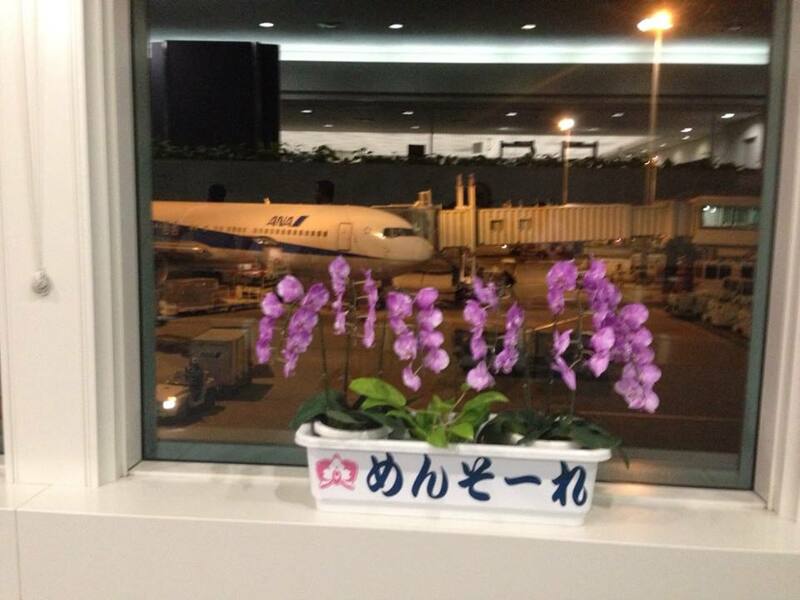 After arriving in Narita, it was a short one hour wait to board our flight to Okinawa. However, Narita is notorious for delays on take off and long taxi to the runways. It was quite a distance to board the plane since we had to take a bus to the plane. 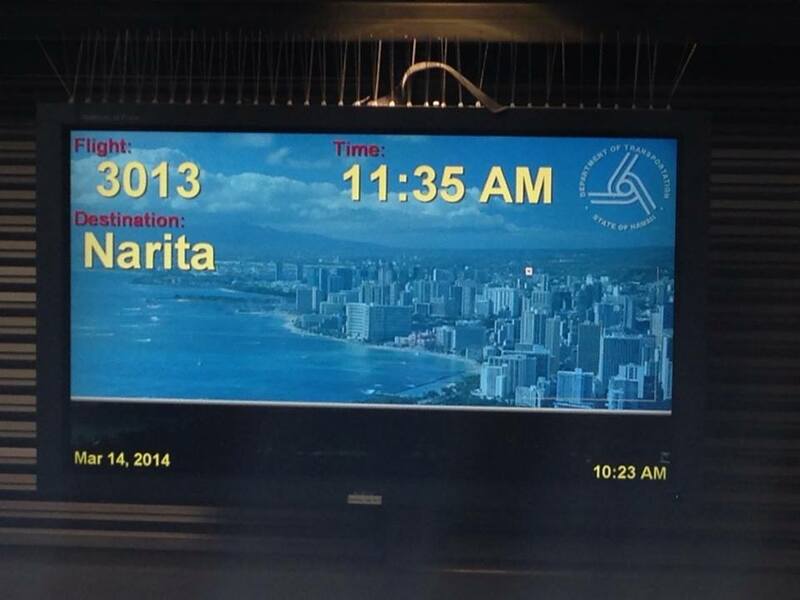 Narita doesn’t have enough gates to handle the flights. The nice cool 55 degree air was refreshing though . After boarding, it took us over 30 minutes taxi and waiting in line to take off. This caused our arrival in Okinawa to be 20 minutes delayed, but it was all good! We got our luggage, boarded our bus and checked into the hotel. Everyone was tired, but we had bento and briefing then finally returned to our rooms to get some real rest. Tomorrow begins our journey in Uchinaa. It should be especially great for the four members who are here for the first time. By the way….nice COOL weather here in Okinawa too. Tonight its a crisp 57 degrees! I love this weather!